Attract The Clients You're Meant To Serve. Are you ready to turn your passion and purpose into your reality? >> Do you desire to create a life of freedom, where you can follow your heart, your spirit and do the work you're meant to do? >> Do you find that you're always helping others become successful, and you're asking yourself "When is it my time?" >> Are you ready to start getting paid to follow your passion, talk about what you love to do, while helping others? >> Are you scared that if you don't take action soon, you're going to be stuck in the same place, making the same money, and doing the exact same things you've always done for the rest of your life? >> Do you dream of traveling the world, being seen as an influencer and inspiration to thousands of people, and making a name for yourself in the world? >> Do you long for a life of freedom, doing work you love, feeling appreciated for what you do, and reaching your highest potential? >> Do you get frustrated, feel stuck in the current cycle, feeling like you have so much to offer, but you don’t know how to get it out into the world? Then you are here for a reason, love. The universe is inviting you to take your next step. I used to be right where you are now- but I cracked the code. I was waking up every day, not excited about the day ahead. I was not confident about my skills, I was kind of shy, and I had zero clarity on where I wanted to go. All I knew was that I truly wasn’t happy with where I was. I was working in a super-repetitive job where I was overworked and not paid in line with all the work I was putting in. I felt like I was stuck in between doing work that was not fulfilling me, but feeling so stuck there because I still had bills to pay. I longed for freedom in my life, as I worked in a job where I could feel my creativity, my gifts and my light slipping away. I could see the routine and rat race that the world around me was trapped in, and I was looking for an out. Fast. So I took a chance on me. I went all in for my dreams. I discovered the online business world. Coaching and running a service based business allowed me to make more money than I ever thought possible, while having complete freedom in my day, and the ability to work from ANYWHERE. 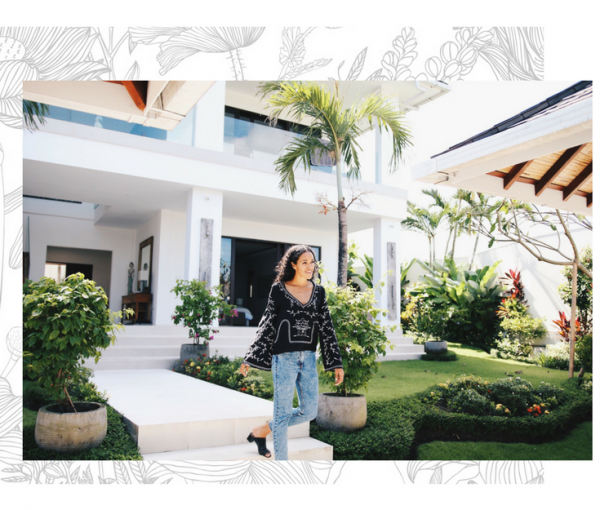 In 2017 alone our company made well over six-figures, while I travelled to the places I always dreamed of like Bali, Nicaragua, Los Angeles, New York, and Europe- all while working from my laptop and helping my clients. I always KNEW it was the PERFECT path for me- and I finally figured out how to make it happen for me. I was always the person who everyone came to for advice, and I got a real joy out of helping others. Helping others achieve their goals just felt right. And if you have always wanted to help others, and make more money than you ever thought possible, I’m about to show you the way I did it. Step into your future, who you really are, and become the most successful version of yourself. The life you dream of living is already happening. The freedom, the travel, the money. It's time you decide to live it. I worked on my confidence and mindset, so I got out of the fear mindset that was holding me back, and fell into an abundance mindset. And I learned how to go into my calls with confidence, and began to attract clients like wildfire. Within 2 months of quitting my job and taking my business full time I had hit $20,000 in income. The amount of freedom, happiness, and fufillment I felt was amazing. Fulfill your ultimate purpose on this earth, this is your one life. Since then, I’ve been able to help and support dozens of women in turning their dreams into a reality, making money doing what they love, and quitting their jobs to go full time in their business. And it feels so amazing to make a lasting impact in people’s lives. Now, I’m dedicated to taking what I’ve learned about attracting clients, and have broken it down into a simple process to make it easy for anyone who is passionate about sharing their knowledge and helping others know how to grow their online empire. Make Your Dreams Of Growing Your Successful, Profitable Coaching + Service-Based Business A Reality. Make your impact, work with clients you LOVE and create the income you deserve. If you know you TRULY want to make an impact in people's lives, but you're not quite seeing those clients roll in, I know one thing is for sure- you're not yet standing in your true power. This module will change that. You're going to learn in-depth secrets to help you start to think with the mindset of a YESmuse so you know you got it. You'll transform from wallflower to head-turner and have the kind of presence that effortlessly attracts and inspires the people you want to work with. Get ready for your confidence and energy levels to go through the roof. We'll show you how to discover your DREAM client, and lay out the exact details you need to know about them to add to your content creation messaging formulas. 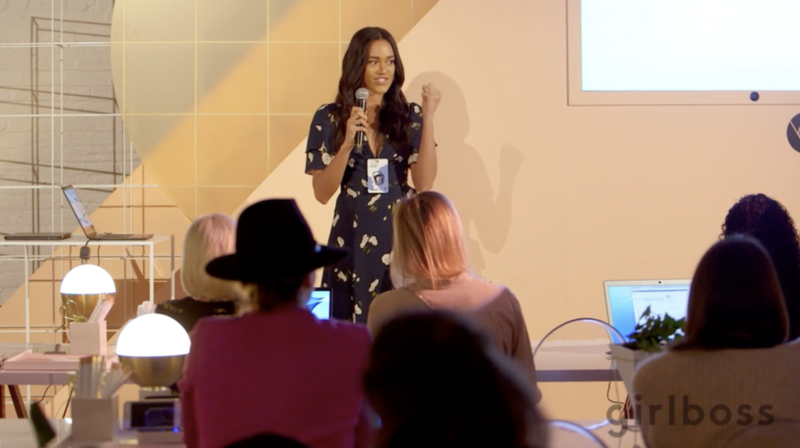 By the end of this module, you will have a crystal clear understanding of how you in your unique way have a gift to bring to the world, and nail down WHO your DREAM client avatar is, and the KEY important details you must have in order to attract them and connect with her, in a way that is authentic. You’ll learn how to gain expert status in the minds of the person who you want to work with, and how you can build a connection that will naturally make it easy to attract the clients who you want to work with. Take your incredible knowledge and experience (yes, you have lots) and package it up into valuable offers that are perfect for the dream client you want to attract and work with. Understand how to break down your knowledge, how to successfully map out an attractive package, and how to price yourself so you are charging your worth and excited about your income! PLUS: You’ll learn the one thing that every package must do to grab people’s attention and have them seeing the value of your offer. • Get the structure, templates, and exact steps to build a high-value, and high-price point coaching offer that you can sell for $1000, $2000, $3000 and more! Learn how to grow your email list with amazing people who need exactly what you have to offer and are ready to buy. Let’s make the ‘techy part’ of growing an email list simple as I’ll walk you through step-by-step what you need to do to see list growth, and what you put in the emails your new leads receive to have them lining up to book calls with you. The number 1 thing that most people are missing is EXPERT status and influence in attracting their ideal client. Learn how to establish yourself as an expert in any niche, that will have clients reaching out wanting to work with you. Start building a home on your own turf, dominating on your platform of choice, and a community where you are welcoming your dream clients into your party! Learn how to create and genuinely share stories that align to your target client. Side effect: Expect an influx of blogs, podcasts, and publications wanting to feature you and the incredible things you do. • Have people looking to you as the expert, which will attract referrals, new clients, and even media mentions that leads to huge income increases! This part is where most people get overwhelmed. But not you. I’ve got your back with exact scripts that you can use and put in your own voice to create unique and grabbing videos and posts that hook your client in and get them nodding their heads SO excited about what you have to say. Learn that growing your audience means talking about what interests your customers, and knowing how to do this in an effective way. Learn how to write emails for your email automation to book calls and create messaging for your social media platforms to attract your dream clients and convert. • Learn the energy of money, and the energy you need to hold if you ever want your sales calls to be profitable. Get my high-converting script for sales calls, and understand how to be a leader on your calls, and guide your potential clients through the process successfully. Understand how to stay cool and confident during the call, ESPECIALLY when it comes time to sharing your offer. Ready to reach a new audience, and expand your reach with Facebook ads? Let's get you set up running ads to help you accelerate your list building, get your brand in front of more dream clients, and supercharge your launches, programs, and more. • Read to quickly scale your business, and bring in more leads than ever. Learn the system that coaches are using to sky rocket their businesses. Ready to boost your productivity and make more happen for you in less time? Ready to see bigger results with less stress and anxiety. I've included a BONUS that will help you get a laser focus on your day, focus on what matters so you have to tools to get your results quickly, so you can have more time with your family, friends and the things that matter most to you. Make your impact, work with people you LOVE and grow your business. Doors are closed. Sign up for the waitlist. I'm Reese, I'm a Master Life and Success Coach, International Speaker, NLP Practitioner and Founder of YES SUPPLY INC. I'm am so thrilled that you made it here. And I truly believe everything happens for a reason. You're here, because you're ready for your life to massively change....just like mine did. A few years ago, I discovered the Coaching Industry. A way that I could get paid to be me, help others in a massive way, exponentially increased the income I was making, and created the life I always dreamt of. Since launching my business, I've created 20K+ months, been able to travel and work from anywhere in the world I wanted to - LA, Nicaragua, Bali, New York, and Europe are just some of the places I've traveled to in the last couple of years. I'm telling you all this because if I can do it, you can do it too. 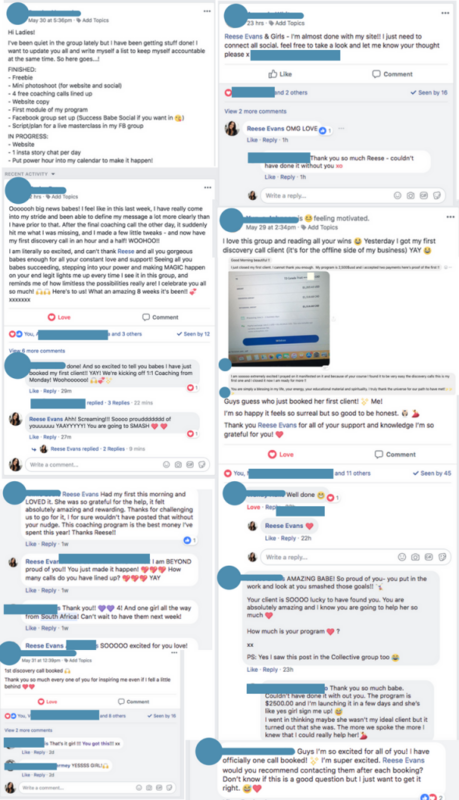 I grew up in a single parent household, I never had any financial support, I don't have a business degree, and I didn't have any special connections when I started my business. I created something amazing out of nothing- and it really can be simpler than you realize. Once you understand the energy of money, and how valuable and worthy you are then abundance flows into your life. I've worked with hundreds of coaches them, showing them how to build influence, attract 2K+ clients, quit their jobs, and really design the reality you desire. I'm thrilled to be the one who will help you get there. I've built the business and platform of my dreams with no social media experience. I've been paid to speak on stages even though I used to be shy. And I've influenced thousands. I've had thousands of dollars in brand deals. 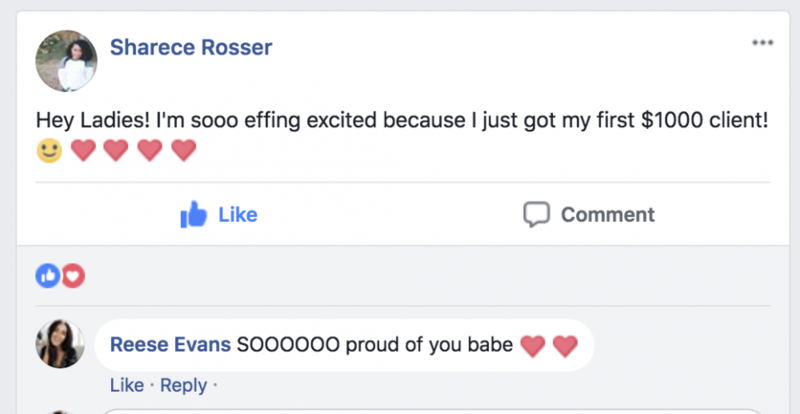 I've married my soulmate, had my absolute dream wedding and my partner and I drive a $100,000 Mercedes and live in a gorgeous loft that's on it's way to being valued at a Million Dollars in Canada's busiest city. Q: What If I’m Not A Coach? Is This Right For Me? A: Yes! Network marketers, graphic designers, virtual assistants, personal stylists, event planners, and those of you who have a huge desire to make a difference in people’s lives by booking out you 1:1 or group programs will be able to use the trainings, scripts, and templates provided in this course to grow your clientele. A: Busy? Then this is perfect for you if you’re trying to grow your business sans stress. The templates and scripts are going to cut your time of trying to figure it all out on your own. Best of all, the content is priceless, you can watch and rewatch as many times as you need and you have lifetime access to the content. A: I got you. This course is exactly what you need. We’re going to help you gain the tools you need to believe in yourself, and stand out as a leader. You’re going to discover your passion and purpose, and with that in mind, it will be easy for you to create a business because you know how you want to impact people’s lives. Launching a coaching or consulting business with high-ticket fees is a fast track to bringing in the money you desire, and creating the financial freedom to quit your job to run your business. You’re doing the right thing. A: Absolutely. My #1 commitment is bringing the education and tools you need to be successful to you in an affordable way. Head to the bottom of the page to check out with your payment plan and start learning how to earn and attract dream clients doing what you love. “I just closed my first client. I cannot thank you enough. My program is 2,500$USD and I accepted two payments. I am sooooo extremely excited! I prayed on it, manifested on it and because of your course I found the discovery calls to be very easy. This was my first one and I closed it now I am ready for more !! 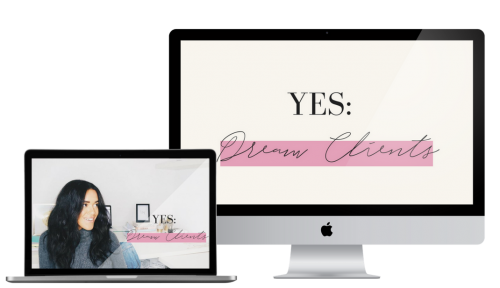 “Before joining Yes Dream Clients, I knew that I wanted to create something that was aligned with my purpose, but I had NO idea how to do it. When I first joined I felt super overwhelmed and honestly a bit uncomfortable. I’ve never designed a program or coached a client before, so this was new territory for me. Going through Reese’s program, I gained the confidence to establish myself as an expert in my industry and to share my message with grace without being salesy. Sharece Attracted Her First $1000 Client! Reese has made a complicated process of attracting clients in 8 simple steps! Each module deep dives in what it really takes to manifest the clients you were meant to serve. She makes it clear that working on you is the priority for building your tribe. It’s not just about putting strategies in place; it’s about becoming the highest version of yourself so that the right clients will show up instantly. Reese shows you that you don’t have to chase down people to buy your services or products. This is an effortless task. She shows you how to have fun doing this, while helping people and hitting your income goals. After devouring this insightful content for 6 hours, with 105 pages of materials to gain clarity on who I serve, I started to energetically attract clients to my mindset and business coaching, I 3xed my income and now I’m creating $15,000+ months consistently. If you are just starting your business or looking for exponential growth in your current business, then this is the course you should take to bring in the right people for the quantum expansion of your business. 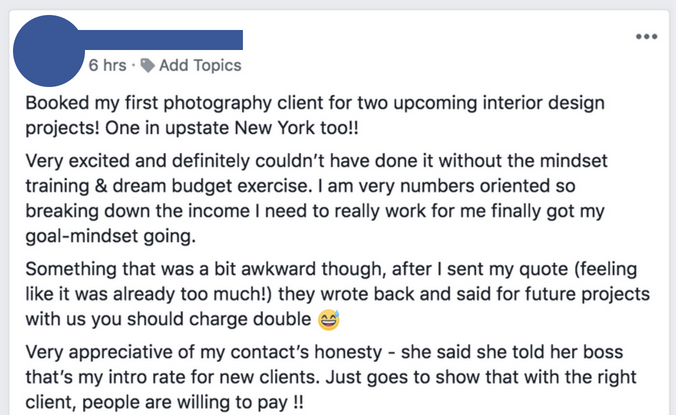 “I had to tell you that I booked a coaching client this week at literally TRIPLE what I’d been charging in the past, and I am really proud of myself for doing so. Gearing up for your course in the city in November, I’ve been watching the Elevated coaching sessions and listening to Dream Clients, and it’s totally working. It’s all clicking, every part of me, with everything I’ve learned and taught myself. This weekend I shoot the video component of my first online course, and I really needed to express my gratitude to you for being a big part of this epic step – only two weeks after our first call. Just a few conversations from the last round. Taylor Closed A $2500 Client On Her First Sales Call and then booked two more clients immediately after! 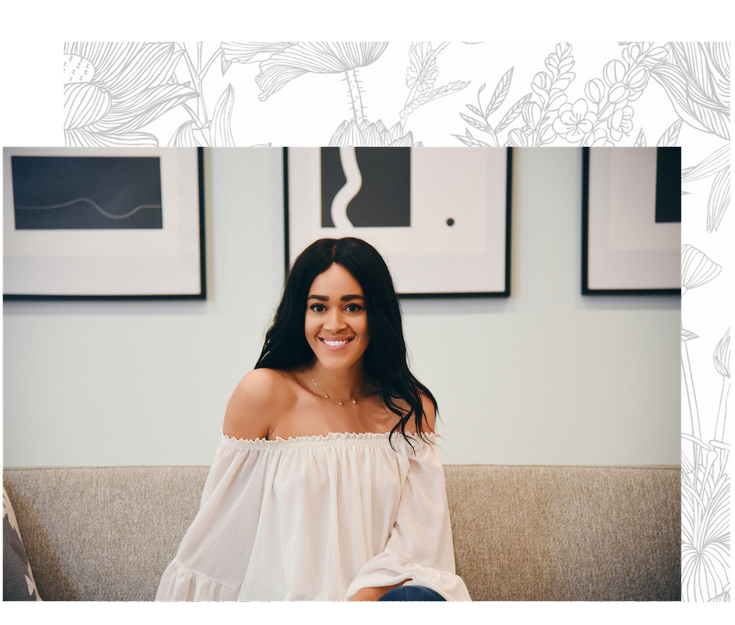 Falyn Created a $5000 Day From Her First 2 Discovery Calls- EVER In Her Brand New Law of Attraction and Manifestation Coaching Business.